In addition, attendees of Visioneering deemed a “Coral Survival” prize concept, whose development efforts were sponsored by Wendy Schmidt, as the top prize design. This prize design, once funded, will launch as a future XPRIZE competition. 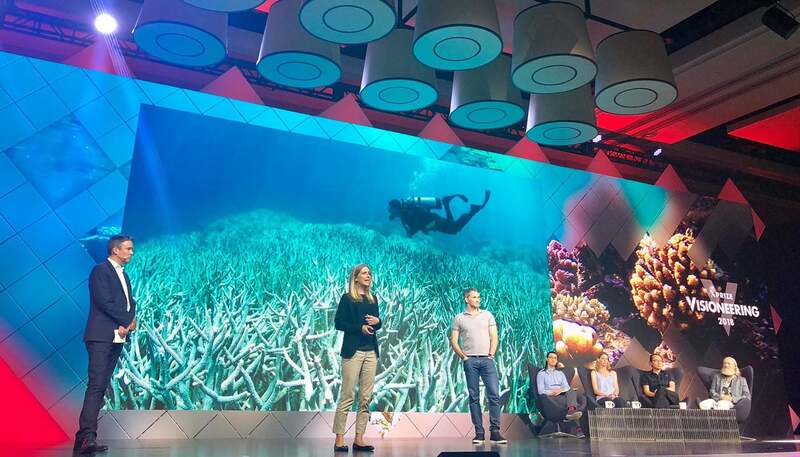 The prize concept calls for innovations that can scale coral survival 1,000-fold, taking the survival rate of new coral larvae from 1 in 1 million, to 1 in 1 thousand, helping us to replenish our rapidly dying coral reefs. The annual XPRIZE Visioneering convenes a select group of CEOs, world leaders, philanthropists, and other experts for three days to evaluate, prioritize and fund competition designs. Additional prize concepts presented at Visioneering 2018 were in the areas of: Off-Grid Energy Access, sponsored by Kingo; Natural Disaster Prediction, sponsored by Fairfax Financial Holdings; Lifting Farmers Out of Poverty, sponsored by Gagan Gupta; and Feeding the Next Billion, sponsored by The Tony Robbins Foundation and Foundation for Food and Agriculture Research. For more information on Visioneering, please visit https://www.xprize.org/visioneering. For more information on the Water Abundance XPRIZE, visit https://water.xprize.org/.